Taking a respite from posting all my content, quips, and thoughts to the immediate-gratification machines of the social media channels, I thought I'd add a pithy question here on the dusty old Bill of the Birds blog. 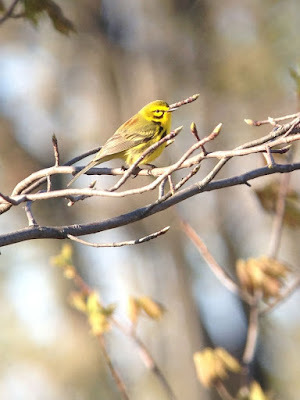 So...How was spring migration in your area? I'm hearing that the spectacle of migration was quite unimpressive in many parts of the eastern half of the United States. 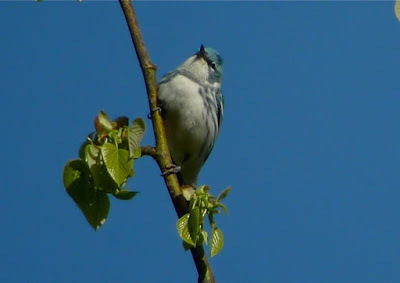 I was at Magee Marsh in northwestern Ohio from May 10 to 14—which normally would be at or near the peak of spring songbird migration. My experience was one of "more people than birds," which is unusual for that spot at that season. Even at my farm in southeastern Ohio the migration seemed to be in dribs and drabs with no single day standing out as impressive or amazing. All of this begs the question: Is this our new subdued migration reality? Have we reached (or passed) some sort of songbird-population tipping point where numbers of warblers, thrushes, tanager, orioles, vireos, etc, have crashed? In other words, are we experiencing "Silent Spring?" Or, is this spring an anomaly, affected by weather, foliage development, insect hatches, etc? I'd love to hear how the migration was in your region. Please use the comments section here, or comment on the inevitable Facebook and Twitter posts for this blog topic. In an upcoming episode of our Out There With the Birds podcast, Ben Lizdas interviews several avid birders about the spring migration of 2017. Tune in to find out what they say.